New Products – QC Industries Hydroclean Sanitary Series Conveyors – Automation Technology, Inc. 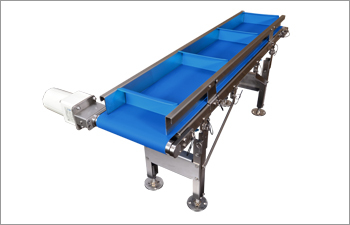 The QC Industries HydroClean Sanitary Series conveyors offer stainless steel sanitary design with tool-less belt, drive and tail removal for efficient in-depth cleaning. This conveyor series is designed to NSF standards with FDA and USDA suitable, antimicrobial belting offerings.